If I can get away with it I save as much money as I can on maintaining my polished goddess look (ahem). It costs a fortune to primp and pamper yourself to perfection, so anywhere you can save through a great deal sits well with me. In light of that, these are my top five tips for saving your pennies while still looking fab. 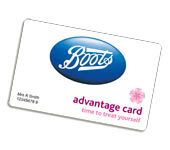 There’s probably not a lady (or gent) reading this who doesn’t at least have a Boots advantage card in their purse. What better way to reward yourself than by earning pennies as you spend… and the pennies soon turn into pounds. Boots in particular are always running advantage points offers, so if you know there’s one coming up make sure you save your spending spree until then to reap the benefits. Last Christmas I got loads of pressies from Boots and because I spent over £50 I got £10 back in points – amazing. The latest one I’ve found is from The Body Shop. Their ‘love your body’ card not only gives you 10% off every purchase for a year, but also rewards you with little pressies when you buy so many products in store, as well as giving you exclusive offers, promotions and competitions. Although this costs you £5 to join up, what’s a fiver when you get so much back in return? I’m a sucker for a good offer. As soon as it’s got ‘50% off’ or ‘BOGOF’ attached to it I’m drawn in like a moth to a flame. Be careful though as you may end up spending more than you would normally and not even like or use what you’ve bought. I always look at the regular products I buy whenever I pop into a pharmacy or supermarket as you’ll never know when they’re on offer. Even if you don’t need one, stock up – it’s worth it in the long run. This weekend Dove Summer Glow was 50% off in ASDA, so yup, I got myself a couple of bottles even though I’d just picked one up from Superdrug. I know I’ll use this product so it’s worth grabbing it while you see it. I even have a massive box under a table in my room which is full of duplicate body lotions, facial wipes, deodorants and toothpaste… just so it’s there when I need it! Brands are falling over themselves to give away free products at the moment. From goodie bags at store event days to freebies and money off vouchers, there’s always somewhere you can grab yourself a bargain. Magazine freebies are my favourite at the moment – InStyle are giving away a Body Shop lip and cheek stain, Marie Claire have got a Neals Yard cream and Cosmo and Glamour are always giving you everything from Benefit to Bourjois. Keep an eye out in the shops and check out all the freebies that month – 99% of the time it’s worth paying for the magazine to get the product for a couple of quid. I managed to get a L’Occitane hand cream a while back and fell in love with it, all for the price of a glossy mag. If you’re an avid reader of a certain weekly or monthly magazine I’d definitely check out their subscription offers. Most of the magazines coerce brands into giving them free products to bribe you with, so when you sign up for a subscription you not only get your favourite mag delivered direct to your door and a saving off the cover price, but usually a free gift worth anywhere from £20-50! 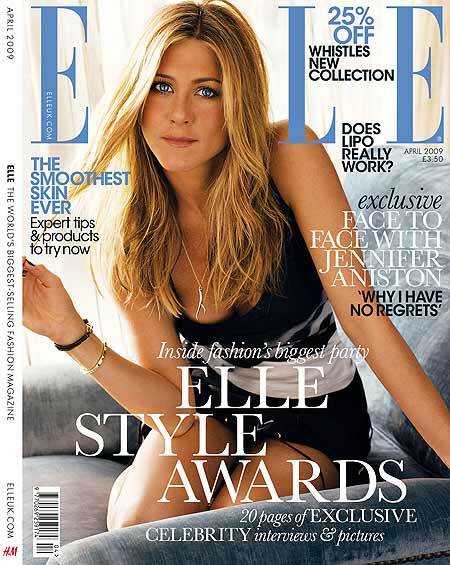 I’ve just subscribed to ELLE and got a nail varnish set worth £36.00, the first six issues for £1 and limited edition covers. Heat magazine have a great offer every week (because the brands know they’re getting free advertising to thousands of you) so hold out until there’s something you really fancy. By signing up to brand newsletters you get to know the latest news before everyone else. Most of the time you also get to enter exclusive competitions, try products before they’re launched or get sent testers with your order. Rimmel are always giving away 10,000 lipglosses or eyeshadows and all you have to do is sign up to the newsletter. Bourjois also run monthly competitions and prize drawers for their subscribers, as do a lot of the retailers. Superdrug has even launched a Summer testing panel where you can apply to test a new product for absolutely no cost. They sent me a Rimmel wash-off bronzer just because I fancied it! My top tip is to be savvy. There are so many ways to save a few bob whilst getting fab products that it would be silly not to. What are your top tips for saving the cash? I love my boots advantage card!! It really is the best loyalty card, also remember to check the advantage card booth things where you can insert your card and they tell you offers for that day, quite often here is where you can get extra points for spending over £30 or £50! It may not be advertised in-store but just pop your card in the machine, print off your voucher and hand it over at the till! I use eBay for beauty bargains! If you are savvy and find good contacts on there it's really worth the research. I use Touche Eclat and Stila stuff and haven't paid full price for ages. Have never had a dodgy experience and on some products I've saved about 70% off the retail price!